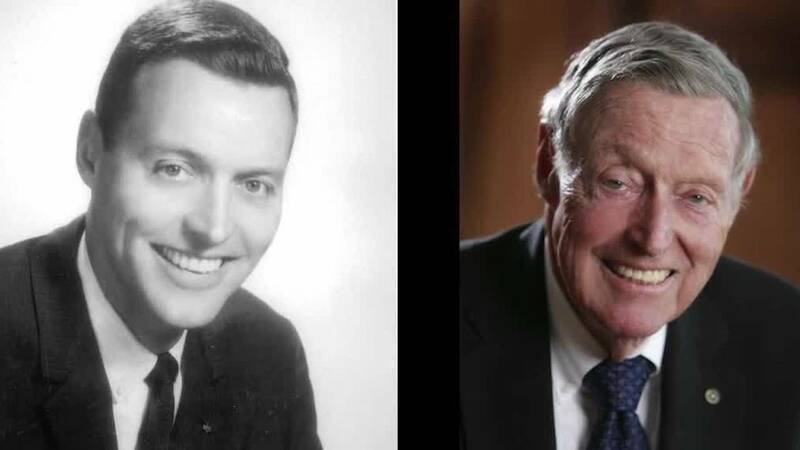 SAN ANTONIO - Legendary San Antonio banker and businessman Tom C. Frost died Friday at the age of 90. Frost, who lived in the Alamo City, was hospitalized after suffering a stroke in July. The death of Frost was confirmed by Phil Green, chairman and CEO of Cullen/Frost Bankers. Mayor Ron Nirenberg also shared his condolences to the Frost family on the passing of Tom Frost. Frost was the fourth generation to overlook Frost Bank, which was founded by his great-grandfather 150 years ago. He has also provided over half a century of services and contributions to the Alamo City. KSAT featured Frost earlier this year as one of the 300 prominent San Antonio figures, which was part of the SA300 Tricentennial coverage. Below are statements from Green, Nirenberg and City Manager Sheryl Sculley. "Tom Frost’s impact on our company, and in San Antonio in general, can’t be overstated. His leadership guided Frost Bank through times of rapid growth, expansion into other markets and its transition to a publicly traded company. He had the vision and courage to oversee a leadership transition, and became chairman emeritus when the first CEO from outside the Frost family took over. In San Antonio, Tom Frost was an integral part of every community development from the medical center, Hemisfair and bringing the Spurs here through the city’s Tricentennial. Frost celebrates its own 150th anniversary this year. Companies don’t last that long without great leadership. They also don’t last that long without a culture that emphasizes long-term relationships with customers, something that came from Tom Frost. He wrote our mission statement, which still guides us: We will grow and prosper building long term relationships though top quality service, high ethical standards and safe sound assets. "Tom Frost was a civic giant. It would be impossible to overstate his influence on modern San Antonio. He played a crucial role in making HemisFair a reality, and he used his considerable influence to make this city a better place for everyone. He helped bring the world to San Antonio. More than a business leader, he was a caring and compassionate citizen, who understood and served the heart and heritage of San Antonio.